What would you like to heal in your life? 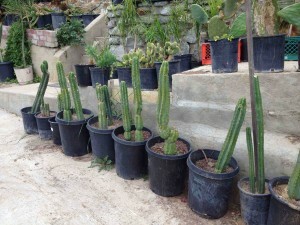 The San Pedro Cactus is not a recreational drug or a “trip”. It is a cactus. 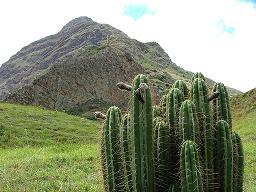 It has been used as traditional medicine for thousands of years in the Andes to heal mind, body, and spirit. It is one of the seven master plant teachers and our personal favorite. The San Pedro experience is a beautiful one. The experience is different for everyone every time because we are all unique beings. It takes us into our own heart and lets us see where we can make changes in our life to be more loving and less fearful. It helps us love ourselves so we can attract and spread more love. 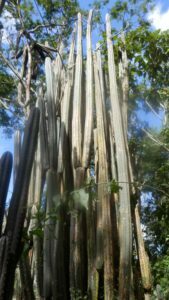 The San Pedro Cactus is a powerful healer. A recent participant in a San Pedro workshop said: “I have never felt so loved, it’s like being in the womb again.” It’s gentle medicine. Most people just want to lounge around and enjoy it. It does have some mild hallucinogenic effects for some people. One may see some rainbow colors refracting off the plants, or feel and see the earth breathing. Usually people feel like they are seeing everything for the first time. It’s very mild and enjoyable. San Pedro is a physical and emotional healer. Many people suffering from diseases such as cancer, Parkinson’s, depression, multiple sclerosis or fibromyalgia, have experienced complete healing after drinking the medicine. San Pedro continues to work with people for weeks or even months after they experience it. It sharpens our awareness towards old behaviors and thought patterns that no longer serve us. It’s only when we become aware that we can do something different. The benefits are many and usually different for each person. Most people experience bliss on all levels and have a more positive outlook on life afterwards. San Pedro connects us back to nature and shows us there is no separation between all living things. People drink San Pedro for many reasons. The main reason is that they want to experience healing. Often they come to learn more about themselves, or to find direction or clarity in their lives. Some drink to eliminate Dis-ease or Dis-order. Others drink just to experience the plant and see what it has to teach them or remind them of. Whatever your intention is, it will certainly be served by San Pedro. Why Take This San Pedro Spiritual Retreat? This spiritual retreat and San Pedro ceremony is truly unique. There is not another like it on the planet. Steve Eagle Sewell makes a wonderful guide for this exceptional journey of self-discovery. 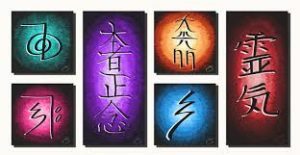 He has combined his psychological knowledge to create a workshop that has deep emotional impact and healing. This workshop helps people to discover problematic things in their lives, which they were unaware of. It confronts them with their egos so they recognize them and make the necessary changes. We use a wide variety of methods to help people see things about themselves they normally would not. San Pedro teaches and helps us remember things we once knew and somehow forgot. It is essential to have an experienced guide on this type of journey. Steve has a unique approach, which facilitates healing on all levels. Steve Eagle completed his apprenticeship with San Pedro in May 2013. He still drinks once a week and has no intention of stopping. 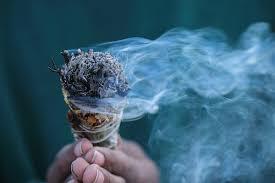 He does not consider himself a shaman but rather a counselor that uses plant medicine. You will be in experienced and loving hands here. Our entire staff is here to be of nurturing, non-judgmental service every day. This San Pedro workshop is done in a sacred space and in a safe container. It is a safe place to heal. The beautiful environment and the experience of our staff guarantee that you will have a transformational and life-changing journey.